The Cincinnati Bengals will wrap up their season series against the NFC East with a Thursday night tilt against the Philadelphia Eagles at Lincoln Financial Field. The kickoff for this inter-conference clash is slated for 8:20 p.m. (ET) and the game will be broadcast nationally on the NFL Network. This game preview and betting prediction is part of a season-long series where I use my past experience covering the Eagles to offer a free NFL pick using Doc’s Sports Unit Betting System. A key component of any successful betting strategy is wagering on what you know best. By focusing your handicapping efforts on a specific team you can often times create an edge that results in a winning play. The Bengals blew a golden opportunity to capitalize on both a Baltimore and Pittsburgh loss this past Sunday by falling to Dallas 20-19 on a last-second field goal. They were favored by 3.5 points at home, so the loss dropped their overall record to 7-6 straight up and 6-6-1 against the spread. That leaves Cincinnati tied with the Steelers and two games in back of the Ravens in the division title race. The total has now stayed “under” in their last five games. It is hard to fault the defense too much in this one as it has done an excellent job at keeping opponents out of the end zone down the stretch. The Bengals are giving up an average of 21.5 points a game, but they have held teams to 20 or less points in their last five games. The offense sputtered a bit against the Cowboys, but for the most part Andy Dalton and Co. have done a solid job at putting points on the board this year. They should be able to get back on track against an Eagles’ defense that is ranked 25th in the NFL in points allowed. Just when most Eagles’ fans, including a good deal of the die-hards, figured this team would not win another game this season, the replacements stepped up and got the job done against Tampa Bay to snap a dreadful eight-game losing streak. Sunday’s 23-21 last-second thriller was Philadelphia’s fourth SU victory of the season against nine losses and just their third ATS this year. The total stayed under the 47.5-point line after going “over” in three of their previous four games. While the starting offense does not look anything like it did on opening day, rookie quarterback Nick Foles, rookie running back Bryce Brown and wide receiver Riley Cooper did their best Michael Vick, LeSean McCoy and DeSean Jackson impressions to help the much-maligned Birds eek-out a rare win on Sunday. Philadelphia also did their best to try and blow this game, too, after opening up a 10-point lead at the half. However, a miracle touchdown pass on the final play of the game salvaged the win. The big question coming into Thursday’s matchup will be can this team put forth another solid effort to end the Bengals’ playoff chances just like they did to the Buccaneers? The Bengals are 4-1 SU in their last five road games but a costly 7-12-3 ATS in their last 22 games overall. The total has stayed under in three of their last four games on the road. 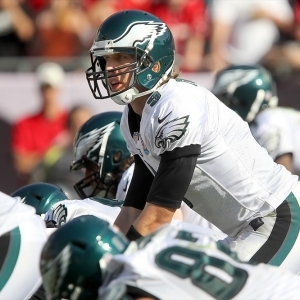 The Eagles are 1-5 ATS in their last six games at home and 2-6 ATS in their last eight games overall. The total has gone over in five of their last six home games. The last time that these two teams played one another was in 2008 with the game ending in a 13-13 overtime tie. Philadelphia closed as a 9.5-point favorite on the road and the total stayed under the 41-point line. Sunday’s win showed some tremendous perseverance and poise, especially on the part of Foles, but you cannot ignore the fact that the Eagles still continually shot themselves in the foot in an effort to lose this game. This Thursday night, they will struggle to keep Cincinnati out of the end zone while continuing to struggle scoring points of their own. Sunday was the just the fifth time all season they scored 23 points or more. Utilizing Doc’s Sports Service’s Unit Betting System take the Bengals over Philadelphia and give the three points for 2 Units.